NuVue DOT-C2 Reflective Safety Tape. 2" X 36" Roll alternating 11" red / 7" white repeating pattern. Department of Transport approved. Can be used for personal or commercial use. 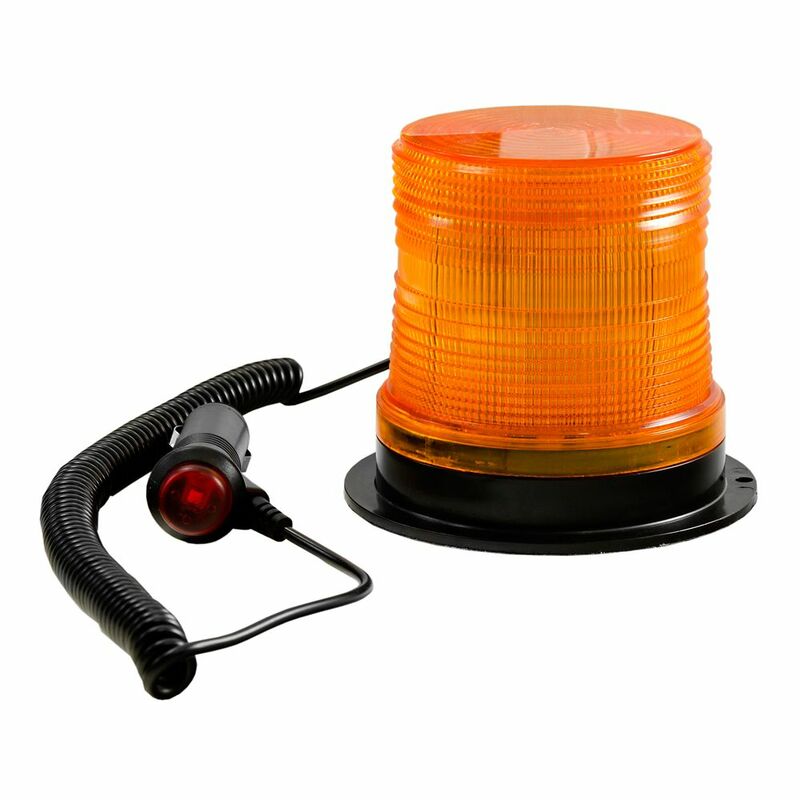 Dramatically enhances visibility at night, or in adverse conditions, when a light is shone at vehicle and is ideal for use on commercial vehicles, trailers or anywhere around the home or workplace where increased awareness to a hazard is required. RoadSport "R1" Badgez Chrome-plated ABS Emblems have a universal fit for a variety of applications on splashguards or as an accessory dress-up item anywhere. They are sold in pairs, easy to install and will adhere to glass, painted surfaces, all types of plastic, rubber and metal mounting surfaces. LED Beacon - Amber The LED Beaconz is an updated, modernized rooftop beacon. 36 high intensity LEDs flash in a multi-burst pattern to add visibility to almost any vehicle. Great for cars, trucks, SUVs, RVs, boats, tractors and more LED Beaconz features a paint-friendly rubberized magnetic mount for easy installation and removal. The cord stretches for ideal placement. Be seen, be safe. LED Beacon - Amber is rated 5.0 out of 5 by 2. Rated 5 out of 5 by Bill from Perfect light for safe plowing operations if you don't want permanent mount. Does the job for gre... Perfect light for safe plowing operations if you don't want permanent mount. Does the job for great price.